Taste of the Wild vs Blue Buffalo: Which Is The Best? 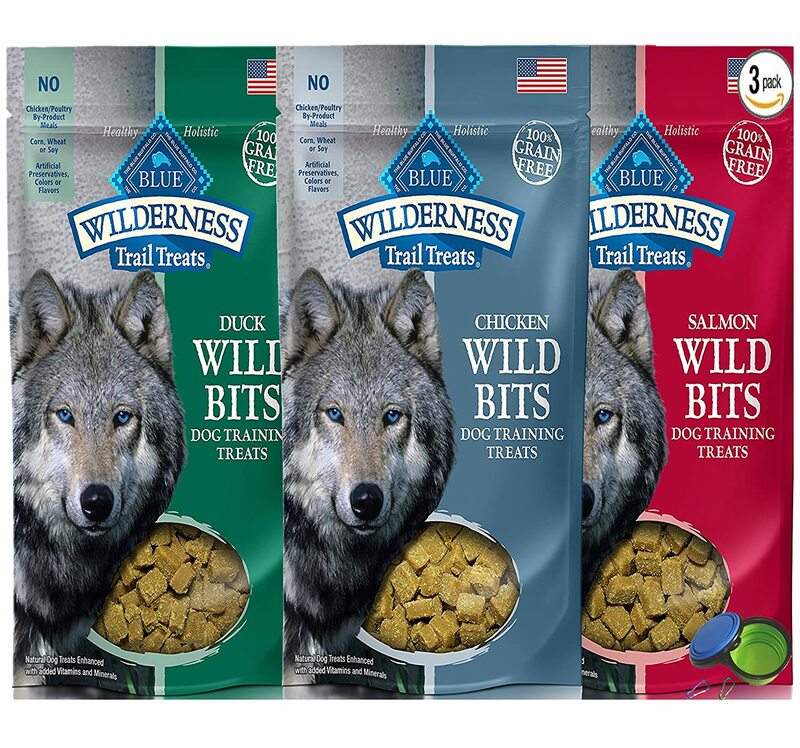 When it comes to pet food, Taste of the Wild and Blue Buffalo are two of the leading brands on the market. In fact, in order to choose the best, pet lovers have to consider many factors such as ingredient quality, guaranteed analysis, product safety, brand history, etc. Here we make a comparison of Taste of the Wild vs Blue Buffalo for you to see which food fits your dog best. When the Jackie Bishop’s large-breed Airedale Terrier was caught some of the health problems, Bill and his sons made their own food for their dog. And that’s why you see Blue Buffalo today, with the guarantee that all foods are originated from the highest quality, natural ingredients with rich nutrients. The products are diverse depending on the dog breed's size and specific conditions. All Blue Buffalo’s formulas started with chicken, lamb, or fish, with wholesome grains, fine vegetables, and fruits. 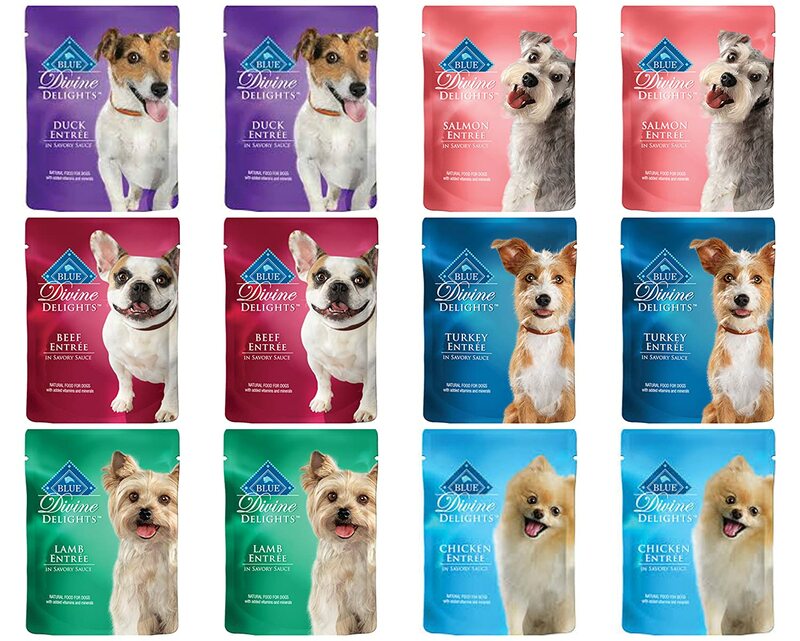 The brand provides three major types of foods – dry food, wet food and dog treats – for puppy, adult and senior dogs. Blue’s dry food recipes are a unique two-part feeding system of dry kibbles which include first-rate authentic ingredients combining with a perfect blend of vitamins, minerals and antioxidants – so-called LifeSource Bits. In order to prevent degradation and maintain potency, the manufacturer processed these nutrients at a lower temperature than other remaining. Also, delicious wet recipes formulated with high-quality ingredients and no wheat to meet different life stages and breed’s demands. They’ll cover your pup for his golden years. Hearty wet food is in a can with a variety of textures and cuts. The brand never uses poultry by-products, artificial flavors, colors, preservatives, corn, wheat, or soy in any recipes as these can cause allergies to some dogs. All foods are grain-free. With this excellent hypoallergenic recipe, you can keep confident that your dog will never cope with any gastrointestinal distress. The first and the most major thing in each recipe is real meat from deboned salmon, real beef, chicken, lamb, duck and turkey, providing a huge source of high-quality protein. This formula helps your pooch stay active and energetic all day long without caring about the digestibility. Besides, fish meal and chicken meal also make a small contribution to creating tasty bowls as well as encouraging the development and maintenance of long, lean muscles. Understanding your dog's favorite is a meaty treaty, so Blue Buffalo offers some soft-moist treats in a variety of flavors and shapes for rewarding their best behavior. Dog treats are perfect for training because they give bite-sized morsels full of real meat to keep the dog’s attention and make training a breeze. Taste of the Wild is more prioritized Blue Buffalo because they use puriﬁed water (its quality is equivalent to bottled water's quality) during production. Most pets are fond of grain-free options. Taste of the Wild formula is 100% grain-free, while Blue Buffalo consists of a large number of wholesome whole grains rather than grain-free. Blue Buffalo delivers more essential vitamins and minerals in their product than Taste of the Wild. Blue also takes advantage of The LifeSource kibbles. With over 100 adult food options, about 20 senior food options, and around 20 puppy food options, Blue Buffalo is more diverse in choices than of Taste of the Wild. In short, both products meet the health needs of your pooches. Based on your dog's needs and conditions, you can find which product will be better for them. With this up-to-date nutritional information and guide, we hope that every owner can make the best decision to choose the best food for their fur babies and adults. Thank you for reading! Can Dogs Eat Mandarin Oranges? Not A Simple Answer! Purina ONE vs Purina Pro Plan: Which Is Better?